October is National Breast Cancer Awareness Month. Please get your mammograms and do your BSEs each month. Most of us know someone who has had breast cancer, or even have had a personal experience with it. I have lost my mother, my grandmother and a close friend to breast cancer. My twin sister and mother-in-law are valiant breast cancer survivors and so is my dear friend, Cathy. I have my own story dealing with this disease. This war is personal for me and it’s time for a cure. The best chance we have for a cure is early detection, so please make your appointment today if you are due for a checkup. 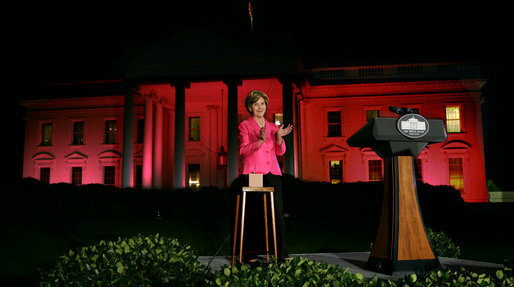 Last night, Mrs. Laura Bush took a stand for breast cancer awareness by lighting up the White House in pink. She’s speaking all over the news today to remind women to get mammograms. By clicking on the pink ribbon on the right, you can provide free mammograms for women who cannot afford it. Do your part to take care of yourself, pray for those dealing with breast cancer, and let’s take a stand together against this dreadful disease. This entry was posted in Uncategorized and tagged breast cancer, family, health, public service announcement by annette g. Bookmark the permalink. Love what Mrs. Bush did! AWESOME awareness. 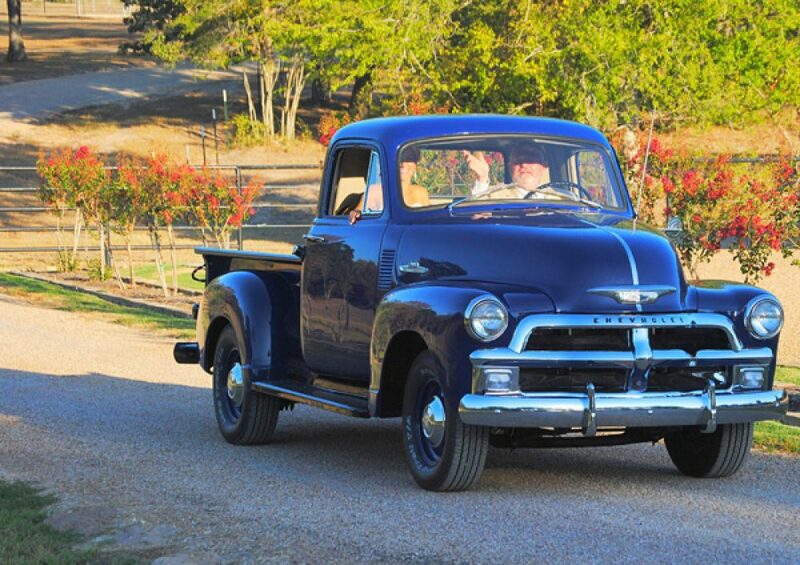 I went to a fund raiser this past Tuesday night…it was beautiful. I’m a mammogram “do-er” but I’m not every year yet. I’m still a youngin I guess. 🙂 Just had my yearly checkup though. Anyway, I’m going to the pink ribbon now. Thank you for reminding everyone!! My mother is an 11 year breast cancer survivor. She spends her days volunteering for our local Am.Cancer Society and she drives elderly patients to their cancer treatments. We work together on the committe for our local Relay for Life which is coming up later this month. Vital information for women. Many of whom think they are too young for a problem like breast cancer. Thank you for the post. I can’t believe you just mentioned that. Just yesterday I almost added to the bottom of my prayer for you know who a reminder for all to get their mammograms done. I just made my appointment on Tuesday. Somehow I missed my appointment that was supposed to be in March! I’m going on the 21st! Thank you for reminding us. You inspired me again today as I think about you and your loved ones! p.s. I’m going to click on your pink ribbon now!